VCU and Georgetown were whistled for a total of 61 fouls in tonight’s Puerto Rico Tip-Off matchup. VCU dropped their second game in four days, this time coming up short in an 84-80 loss against Georgetown in the fifth-place game of the Puerto Rico Tip-Off. The Rams took a one-point lead into the half, then battled all second with the Big East’s Hoyas, leading by as many as seven points with just over 14 minutes to play. Georgetown then outscored VCU 22-10 the following 10 minutes, holding the Rams to just two field goals over that span while stretching that six-point cushion into a comfortable eight with just 1:26 left to play, a cushion that proved too much for the Rams to overcome. The game was a foul-filled affair with 61 whistles on the night. VCU hit 34 of their 47 attempts while the Hoyas hit 32 of their 37. Perhaps the most surprising stat of the tournament however was the Rams lost their second consecutive game in which their opponent turned the ball over 25-plus times. VCU showed plenty of havoc looks but for the third-straight game failed to hold an opponent to under 50% shooting from the field, dooming the Rams in a tournament they struggled to hit shots in–71-194 for a 36.6% clip on the tournament. The No.10 Rams will most likely drop out of the top-25 upon the release of the new rankings tomorrow, as they get set for a home tip against former CAA foe, Northeastern, a team that defeated Georgetown and came up just short (2-point buzzer-beater loss) against the FSU team that the Rams had the toughest time with this tournament. Despite the poor team results, junior point guard, Briante Weber had a bit of a breakout individual week, posting a career-high 22 points in tonight’s loss, just after matching his previous career-high 16 points in Friday night’s win. The defensive standout added 4.6 rebounds per game, 2.3 assists, 2.6 steals and shot just under 61% on the tournament. Weber’s 14 points per game were just outpaced by leading-scorer Treveon Graham’s 14.3 points per game. 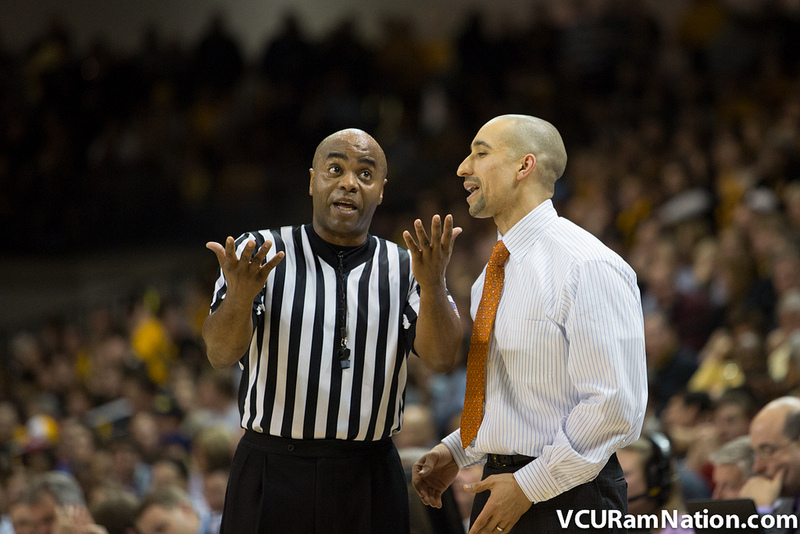 Despite the recent losses, VCU’s 4-2 start is their best since 2010, having started the previous two seasons 3-3. Looking for even more silver lining? That 2010 4-2 start season ended at the 2011 Final 4. The Rams lost two of their three early season tournament games that year as well, one to a Big East team, the other to an ACC squad. VCU will play four of their next six games within the friendly confines of the Stuart C Siegel Center, including two against former CAA conference foes.